﻿ Binary Options Ladder Trades - What Are They and How to Use Them? A couple of years ago, most people hadn’t even heard of binary options, but today, the industry is booming. Back then, there were only a couple of different types of trades, and numerous brokers only offered a single way to trade, the typical “High/Low” trade. As binary options became more popular, brokers started to add One Touch and No Touch options as well as Boundary or Range options. 60 Second options and other short-term trades became popular. Now we are seeing even more new types of trades. 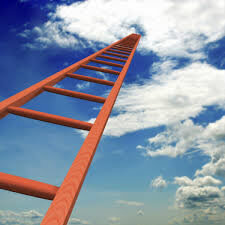 Recently I have noticed that a number of brokers are starting to offer a new type of binary options trade called a “Ladder trade.” Curious what a Ladder trade is? So was I, so I did some research, and now I am going to tell you exactly how a Ladder trade works. Ladder trades were apparently first offered by a company called IG Markets, but I have seen them on at least three of four brokers this past month, including GOptions, a broker which we recommend. I would suggest using a Ladder trade when there are predictable areas of support and resistance. In the example above, with GBP/JPY, imagine that you knew that there were pivot areas around each of those strike prices. You might be pretty sure that the asset would reach the objective within the timeframe given, but you expected areas of hesitation, which would prolong the process. In this case, it might make sense to do the Ladder trade, because you could take advantage of those hesitation periods. When you set the expiry times further apart, your broker may offer you higher payouts.